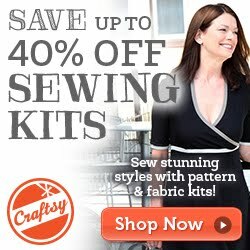 Time to wrap up your Harper dress! Measure the top of your front bodice between the arm openings. Add 1" to this length and cut a piece of bias tape accordingly. Press each short end to the wrong side 1/2". Open up the bias tape, and pin right sides together with the raw edges aligned at the top of the bodice. Sew along the first fold line. Fold the bias tape to the wrong side encasing all of the raw edges. Topstitch from the right side catching the bias tape underneath. Feed your 1/4" bias tape through the casing with a safety pin. Secure the elastic at each end of the bias tape. Pull the elastic and trim it at the casing, so it will snap back into the end of the casing. Repeat the casing and elastic for the back bodice. Position the straps back over the bodice and topstitch the remaining 2" and around the end of the straps completely enclosing them. Repeat for all 4 straps. Create 3/4" buttonholes, 1/2" from the end of the back straps. Sew (2) 3/4" buttons (or 4 if you'd like the dress to be adjustible) to the front straps. Do a happy dance, because you are finished!! 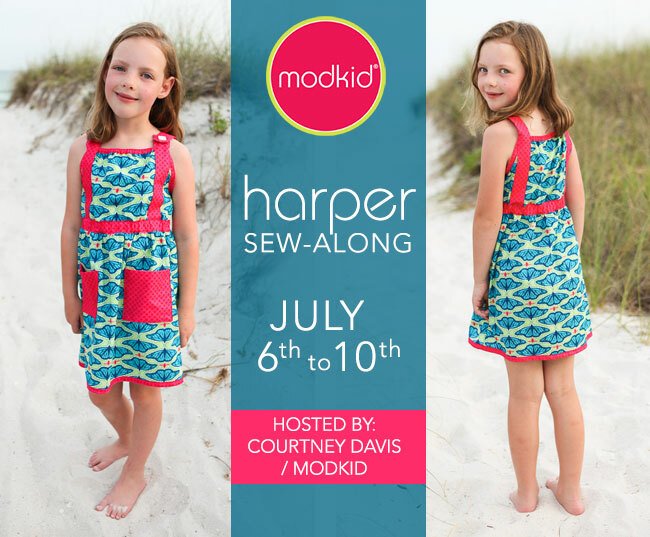 Be sure to add photos of your completed Harper Dress to our Facebook Group before the end of the day Monday, July 13th to be entered to win one of the prizes. You can share photos on Facebook and Instagram with hashtag #harpersewalong. We will post the winners next week!